Do you have a recording of a telephone call that you need transcribed? No matter what the purposes—whether for use in court, a police record, as a record of an interview, quality control, or even just personal use, Translation Services USA can provide you with a phone transcript in whatever format you need. When requesting a phone call transcript, make sure your recording is in a format that can easily be transmitted over the internet. Converting your audio into a digital file format, such as an MP3, is the easiest way for our professional phone transcribers to receive, play, and eventually complete your telephone transcription request. Simply attach the file to our quote request form and give us any additional information on your phone call that may be relevant and useful for your phone call transcription request. 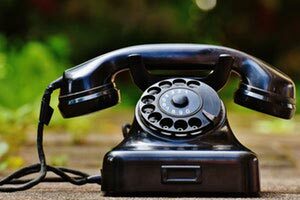 What Should I Include With My Telephone Call Transcription Request? Still have questions? Contact us today with any questions you have about transcription for telephone calls and one of our friendly customer service representatives will be in touch with you as soon as possible!